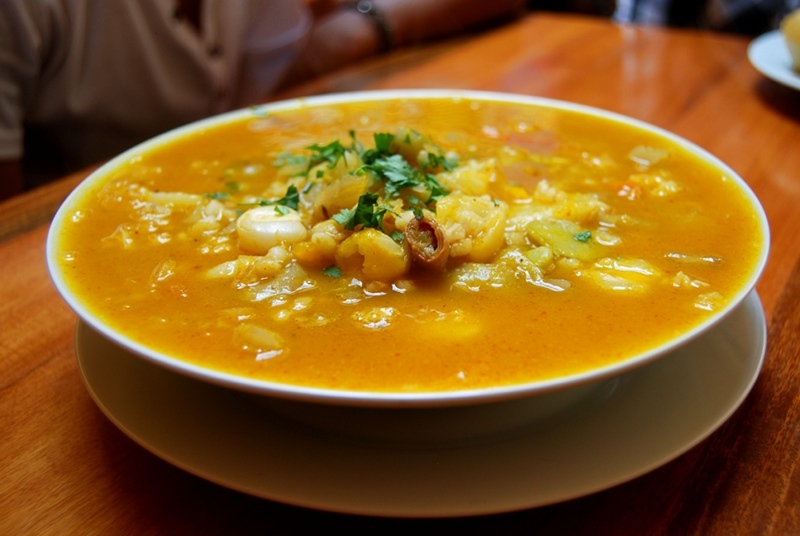 The people of Cuzco pay great attention to food. They focus this area of life to such an extent that it become key in understanding them and key to their understanding of many aspects of human existence. Recently David M.R. Orr published an article in the journal Culture, Medicine, Psychiatry where he demonstrated how lack of food or bad food is understood by Quechua speakers to be a cause of mental illness and good food is an attempted cure. We English speakers live in a world where science occupies an important place. It is focused for us, and so we tend to understand disease and mental illness in forms that relate to the Diagnostic and Statistical Manual, the “bible” of psychiatric diagnosis. Concerns such as bipolarity, depression, schizophrenia and so on have become natural for us and central to how we understand people with difficulties that fit these terms. Yet we also have our folk ideas that pre-date the growth of the science of mental illness. In this we are not alone. Anthropologists have shown the different ways such things are named and experienced in other places. As result, mental health workers, families, and patients themselves walk a line between science and their culturally focused understanding when dealing with what we call mental illness. Orr follows in this anthropological tradition of finding how different cultures make sense and experience psychiatric concerns. Based on a year of intensive fieldwork in a clinic in Cuzco as well as in rural communities, Orr finds that “mental disorder is understood less as individualized pathology and more as a disturbance in family and social relationships”. He sees people understanding and experiencing those disturbances as problems in food. He justifies his work by pointing to problems in the simple application of Western (or scientific) models of mental health to places, such as Cuzco, where people live by different principles and have different understandings of the world and how it works. Psychiatry in the Western sense is being applied to more and more regions of the earth, including Cuzco. As a result discrepancies are appearing. 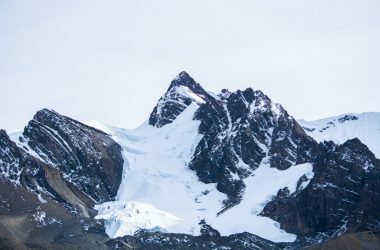 Orr writes that Western science is built on the idea of the autonomous individual, yet in places like Cuzco, people do not see or experience themselves as independent individuals. Food is a key symbol and a central experience of their relationships with other people that make up their selves and their understandings, he holds. 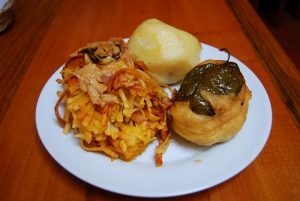 Food and eating are thus bound up with ethno-class identity in ways that have biologically measurable outcomes; at the same time, they are highly symbolically elaborated among campesinos. 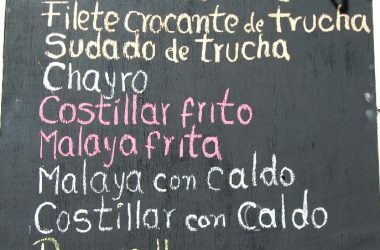 A number of authors have provided useful pointers to orient discussions of food’s meanings in Andean cultures. For example, Gose has emphasized the political aspect of feeding, claiming that ‘‘in the rural Andes, feeding people is an expression of power and proprietorship’’ (1994, p. 11; see also Weismantel 1988). This symbolic association has a long history, deriving from the pre-conquest period when the capacity to feed was the dominant symbolism underpinning Inca authority (Ramirez 2005; see also Silverblatt 1987, pp. 49–50). Certainly today—despite the increasing importance of the monetary economy and legal contracts—offerings of food retain considerable symbolic significance in the contexts of local micropolitics. If other villagers labor on one’s land, the provision of ample food should be part of the recompense, regardless of whether the main return is cash payment or mutual labor exchange (Gose 1994, p. 11). A campesino or mestizo undertaking sponsorship of a religious festival, which necessarily implies considerable expenditure, invariably seeks to recruit others to contribute and hence defray some of the outlay; this is known as hurk’a, and is marked by the offering of food and drink, acceptance of which signifies a commitment to provide something toward the requirements of sponsorship. Likewise, it is necessary for community councils to provide food when they seek to raise communal work parties for maintenance work on roads or irrigation systems. In all these cases, food acts to affirm the legitimacy of labor exchange (ibid). The manner in which food is shared, with whom, and on what occasions can also code a wealth of messages about ethnic identification and relative social status (Bourque 2001). Aside from its centrality to the social bonds of intra-community hierarchy and economic exchange, food is also significant in forging the bonds of family affection and intimacy. For campesino families, the act of feeding may come to constitute a biological relationship that outweighs the importance of conception in creating kinship between parents and children (Weismantel 1995; van Vleet 2008). As food is served and shared over time, it establishes a corporeal bond, over time transmitting certain qualities between those involved as it does so. The self can be powerfully shaped in this way: Tapias (2006) has described how Andean infants in Bolivia are thought to ingest their mothers’ emotions through the breast milk, and may become ill or undergo personality changes as a result. Consequently, for Andeans, food is the most effective medium through which to establish relatedness, both within and beyond the household (Harvey 1998; Allen 2002, pp. 127–149). Sending food is the preferred means of maintaining links, even over great distances. 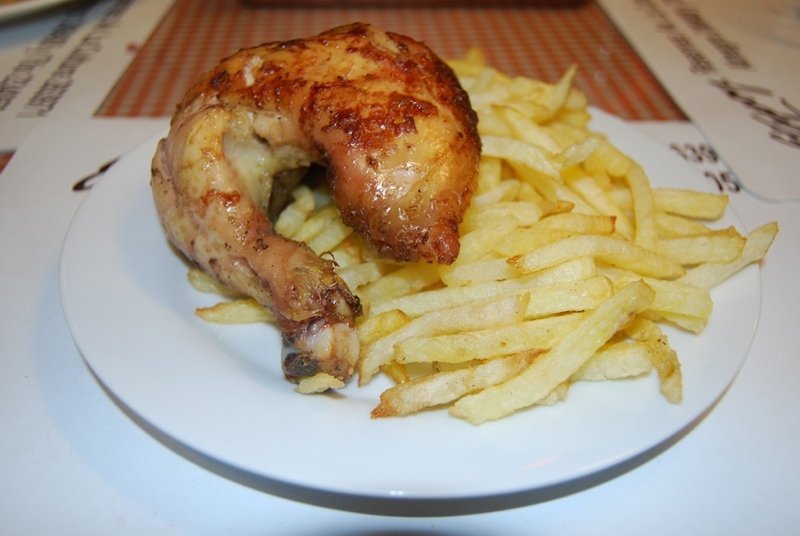 Orr discovers that food is a symptom of relationship problems and then mental difficulties. Not only is food understood to be key to tensions and problems in family and community, eating is also an explanation people field to explain why mental problems arose. Food is “central to explanatory models of how the madness arose in the first place. Malnutrition is often cited as either the principal or a subsidiary cause of the problem of madness.” 702 When confronted with illnesses, people resort to food as a principle means of healing. Orr relates that the feeling among people is so strong that food can cure that they enter in tension with the diagnoses and prescriptions of traditional healers, called yachaq, when they propose something besides food. Similar arguments hold for people’s relationship with doctors of all sorts. 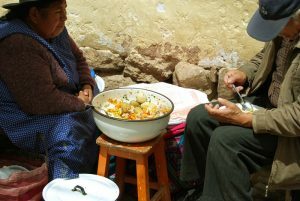 Food and the restoration of good relationships it presupposes is key to well-being in the indigenous sense of the people of Cuzco. The formal medical institutions, especially those involved with mental health, are not officially aware of the importance of food in Cuzco, nor do they take it into account in their diagnoses nor treatment plans. Orr writes. “In the Andean highlands, therefore, greater awareness of the significance of food in mental illness seems warranted, if mental health professionals are to respond sensitively and comprehensively to the suffering of patients and carers“ (p 706). Orr concludes by noting the overlap between the stomach and heart in the key idea frequently used in Cuzco of Sonqo. Though generally glossed as simply heart, this word means much more, including the stomach and intestines. As a result, Orr argues for a psychiatry of the stomach and not just a psychiatry of the brain. 2002 The Hold Life Has: Coca and Cultural Identity in an Andean Community. 2nd Edition. Washington: Smithsonian Institution Press. 2001 Eating Your Words: Communicating with Food in the Ecuadorian Andes. In An Anthropology of Indirect Communication. J. Hendry and C.W. Watson, eds., pp. 85–100. London: Routledge. Town. Toronto: University of Toronto Press. 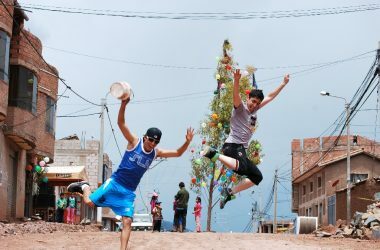 2006 Emotions and the Intergenerational Embodiment of Social Suffering in Rural Bolivia. Medical Anthropology Quarterly 20(3): 399–415. 2008 Performing Kinship: Narrative, Gender, and the Intimacies of Power in the Andes. Austin: University of Texas Press. 1988 Food, Gender, and Poverty in the Ecuadorian Andes. Philadelphia: University of Pennsylvania Press.